Print with the Widest Range of Materials Possible. 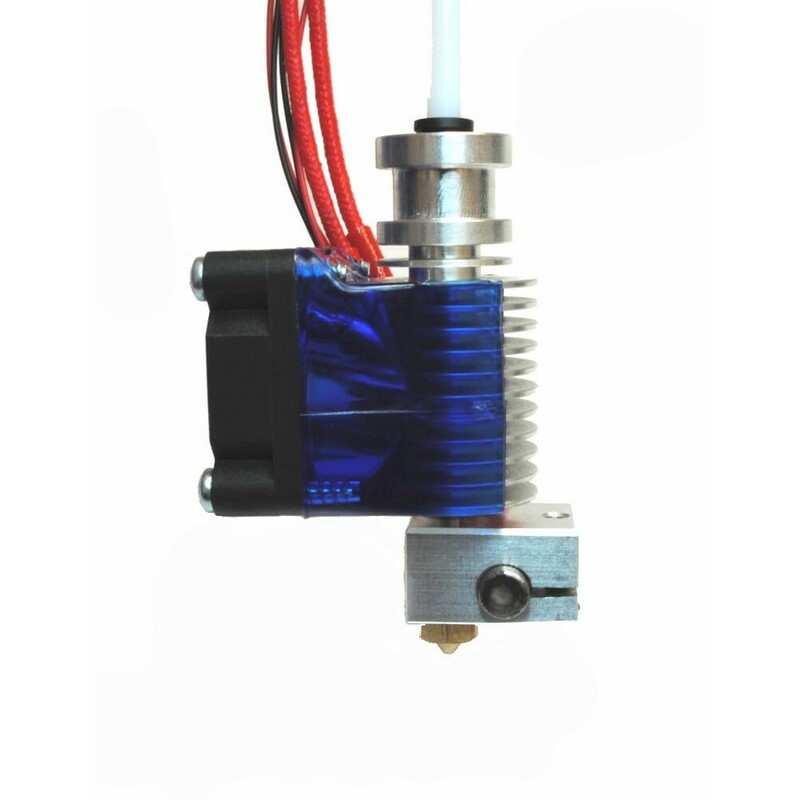 The E3D-v6 HotEnd is smaller, lighter, and much improved. Building on our signature high temperature performance that allows you to print high temperature materials, we've now focused on adding increased functionality with soft and flexible filament. 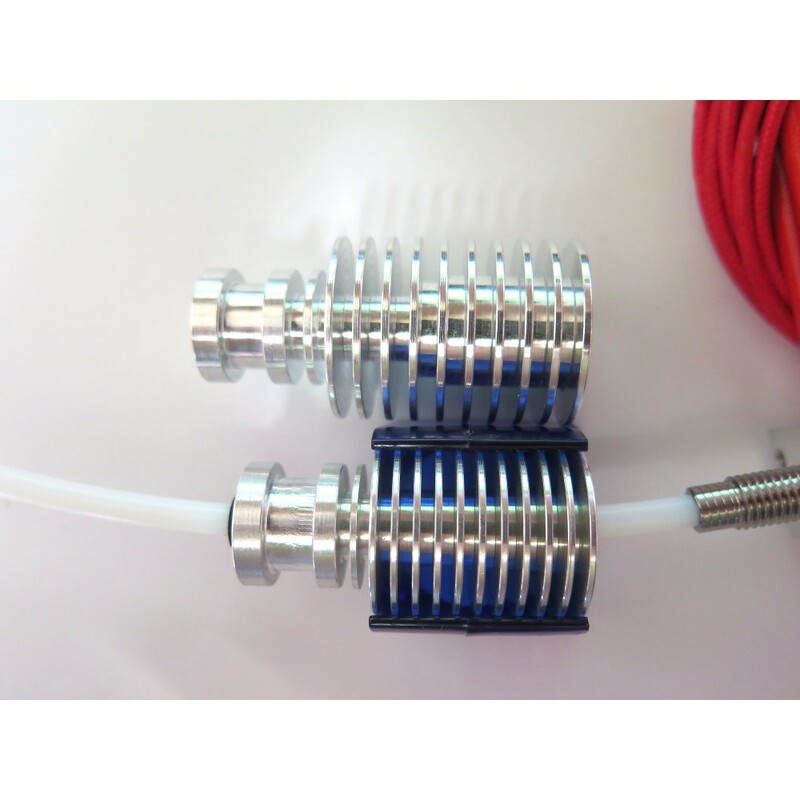 By providing a PTFE liner tube through the hotend that you can extend into your extruder this gives the ability to add the confinement and constraint needed to make excellent quality prints with flexible filaments like NinjaFlex, FlexPLA and FlexPolyester. This opens up a huge range of new opportunities for your printer. 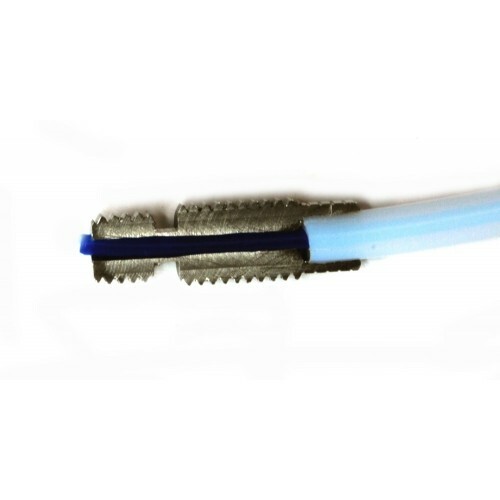 This not only allows you to print extremely high temperature materials like Polycarbonate and Nylon but also eliminates HotEnd meltdown failures associated with PEEK/PTFE designs. 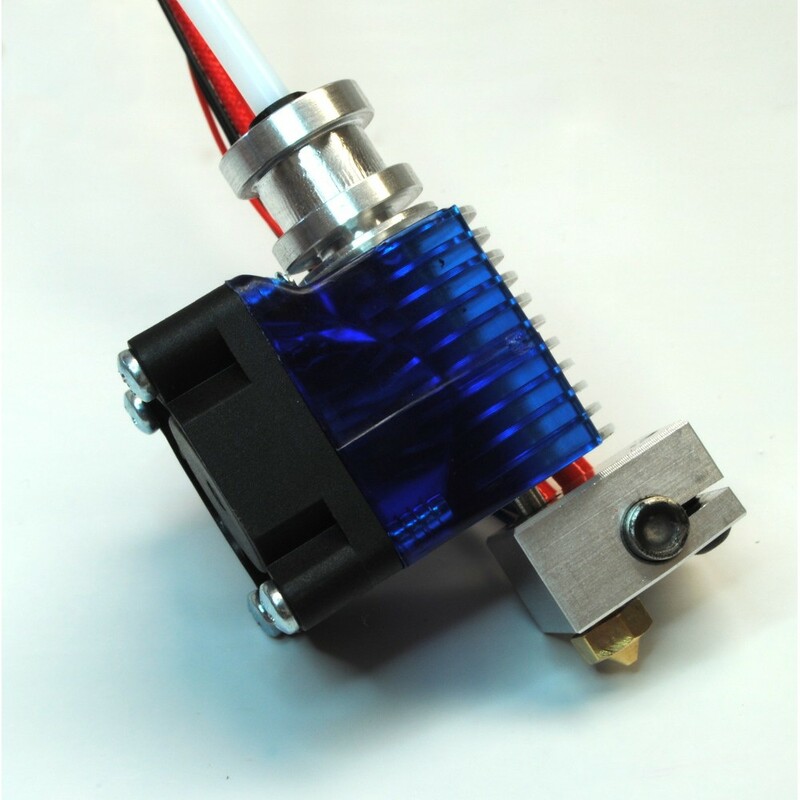 Although our latest v6 hotend has a PTFE liner inside the hotend this liner is never subjected to high temperatures so there is no risk of damaging the liner through overheating. We've focused on cutting as much bulk from the E3D-v6 as possible. This means an overall length of just 62mm and significant reductions in bulk in the X/Y dimensions by using our new injection moulded fan duct. Easy No-Solder, No-Tape, No-Adhesive Assembly or Maintenance. 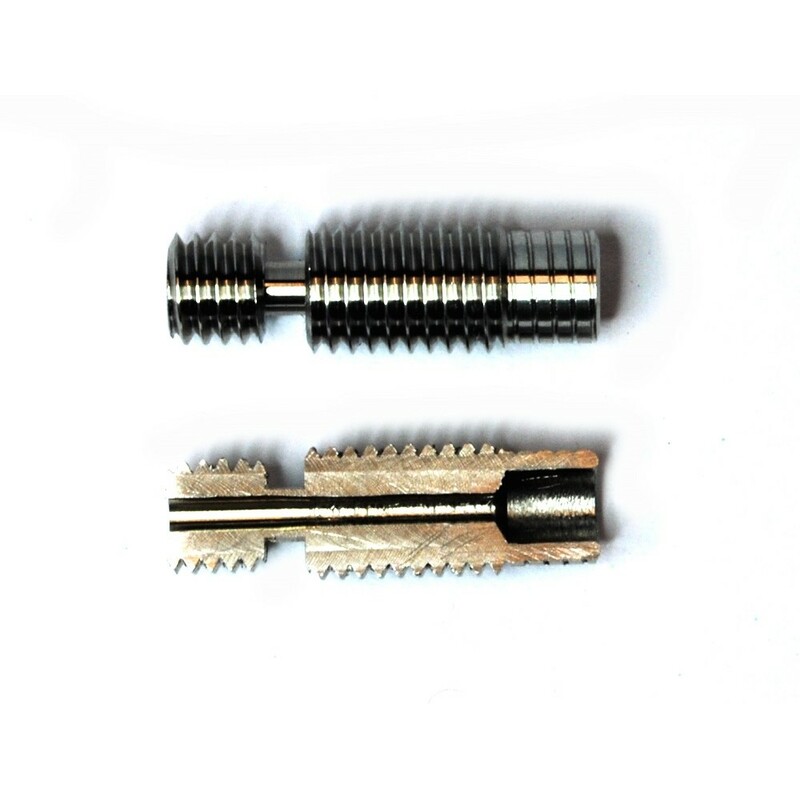 Our range of nozzle sizes gives you more opportunity to choose how you want to print. 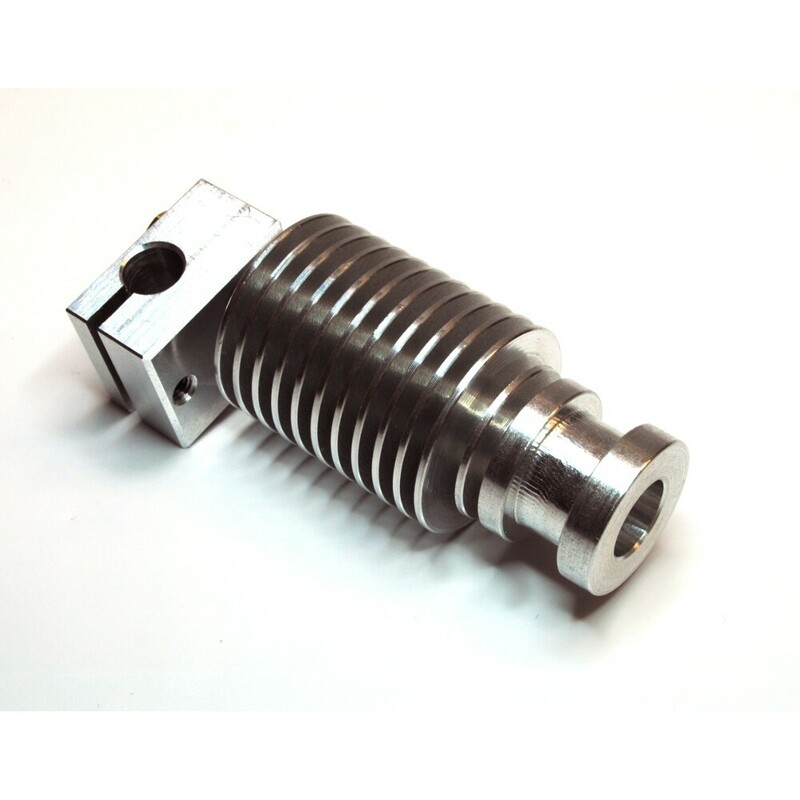 While our default 0.4mm nozzle gives great prints with a good balance of speed, ease and resolution we are offering a range of nozzles that have special geometries that are tailored to the specific needs of how you want to print. 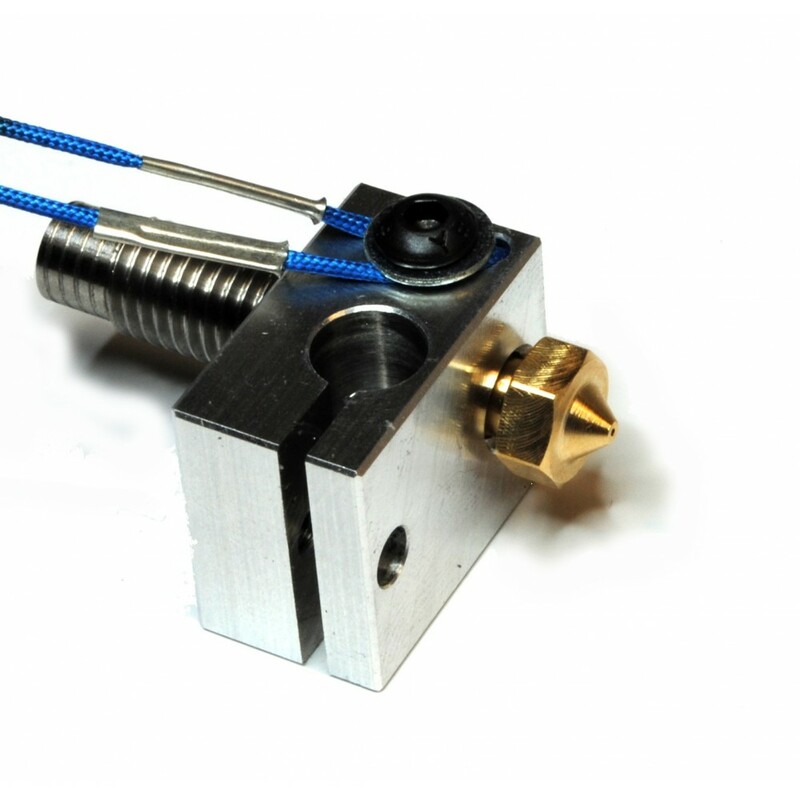 The shape of the tip of the nozzle is key to how the hotend extrudes and flattens a track of plastic. By matching the size of the tip of our nozzles to the width of track of plastic we are able to print with increased resolution in smaller nozzle sizes and with our larger nozzles we've customised the geometry so that you can easily lay down large layers for fast strong prints. Nozzles are easily and quickly changed out because of their hexagonal shape.